Ah March, you fickle, fickle beast! In New England, Mother Nature always tends to be a bit schizophrenic–on the one hand, it’s beautiful and sunny in the 60’s, on the other, we have the biggest snowstorm of winter. That’s in the same week, by the way. 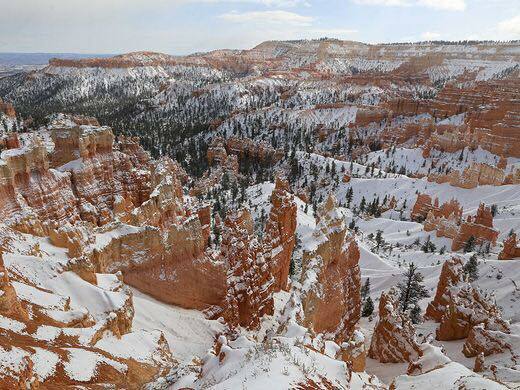 This is a shot of Bryce Canyon in Winter. The “hoodoos” always remind me of the Southwest US with its hot temperatures and desert climate. While seeing these spectacular formations covered with snow seems so strange, don’t you think? Let’s see what our authors–known as The Word Count Irregulars–come up with this time! There are eighty-two shows available right now! DEADLINE: I must receive your submission by Saturday 30 March 2019 by MIDNIGHT Eastern time. Send your file to me@rbwood.com (or via the dropbox link I can provide) by 30 March 2019. You can also e-mail me with questions beforehand. I do reserve the right NOT to post your submission, but I will communicate that to you should it be the case. I add the ‘Explicit’ tag to the ‘cast, so if your story uses adult themes or language that’s ok—but it should be necessary for the story.